29781 place | Vector illustration in rank M-rank: Collection of cute funny men and women performing various sports activities. 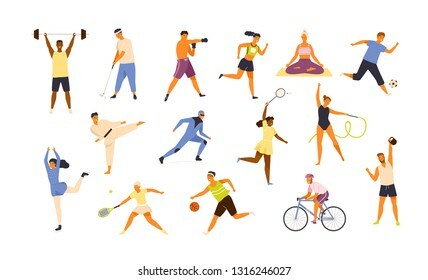 Bundle of happy training or exercising people isolated on white background. Vector illustration in flat cartoon style.